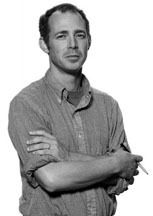 Brock Clarke is the author of three works of fiction: The Ordinary White Boy (Harcourt, 2001), What We Won’t Do (Sarabande, 2002), and Carrying the Torch (Nebraska, 2005). His fourth book—a novel called An Arsonist’s Guide to Writers’ Homes in New England—was published by Algonquin in 2007. His stories and essays have previously appeared in Georgia Review, Southern Review, New England Review, the Believer, Agni, and the Pushcart Prize and New Stories from the South anthologies, among other publications. Nevertheless, we are irked—irked because of the predictability of these reports, irked because they are written by people who know (or claim to know) what literature can do, who claim to be experts on the subject of Why People Read and Write Books, and yet who, somehow and repeatedly, seem to completely miss the point, who don’t understand why someone might go to nonfiction for one thing, to fiction for another. The problem is not that the different genres might do different things, serve different needs, have different goals, provoke different reactions in their readers; the problem is that suggesting fiction should be more like nonfiction—needs to be more like nonfiction—diminishes both genres, making our literary world a lesser place. The misunderstandings started on a Wednesday, a not-so-unusual, early-February Wednesday when I was supposed to make dinner, but time had gotten away from me, somehow, again, even though I had so much of it—even so, it was already six o'clock and I hadn't yet introduced the pot to the burner, and the kids were staggering around and moaning theatrically about their big hunger.